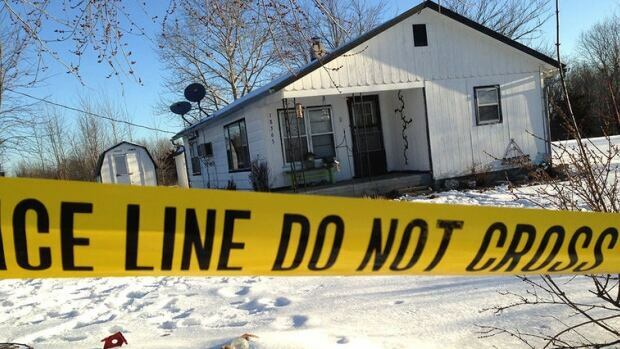 8 dead in rural Missouri shooting . Eight people were found dead overnight in an apparent mass murder and suicide and one person was shot and wounded in rural southern Missouri, the Missouri State Highway Patrol said on Friday. All seven people were believed shot by one man, who died of a self-inflicted gunshot wound, according to a statement by the highway patrol. One elderly woman was found dead of what appeared to be natural causes during the investigation. The events unfolded around 10 p.m. Thursday night when the Texas County Sheriff's Department responded to a call about a disturbance involving a weapon at a residence in the unincorporated community of Tyrone. A girl called authorities, saying she had fled to a neighbour's house after hearing gunshots at the home. Deputies found two dead in that residence. After further investigation, authorities said they found five more victims and one person who was wounded in three other homes in Tyrone. The wounded person was taken to an area hospital. A 36-year-old man from Tyrone, considered the suspect in the case, was found dead in a vehicle in nearby Shannon County. It appeared the man shot himself, the highway patrol said. He was not immediately identified. "In our job we see a lot of bad stuff and this is bad," said Highway Patrol spokesman Jeff Kinder. Kinder said authorities were notifying relatives of the victims. Police did not yet know how the victims were related and were seeking a motive for the killings. Houston School District Superintendent Scott Dill said the killings shocked the small community. "My students and my teachers are very upset. I have a lot of very upset children," Dill said. "Everybody knows everybody here. We all cry together." The Houston School district in Texas County has about 1,100 students. Texas County has a population of roughly 24,000 people. The killings took place in a thinly populated, rural part of the state, near the Mark Twain National Forest. The region is known to attract tourists for its hunting, camping, and river rafting.